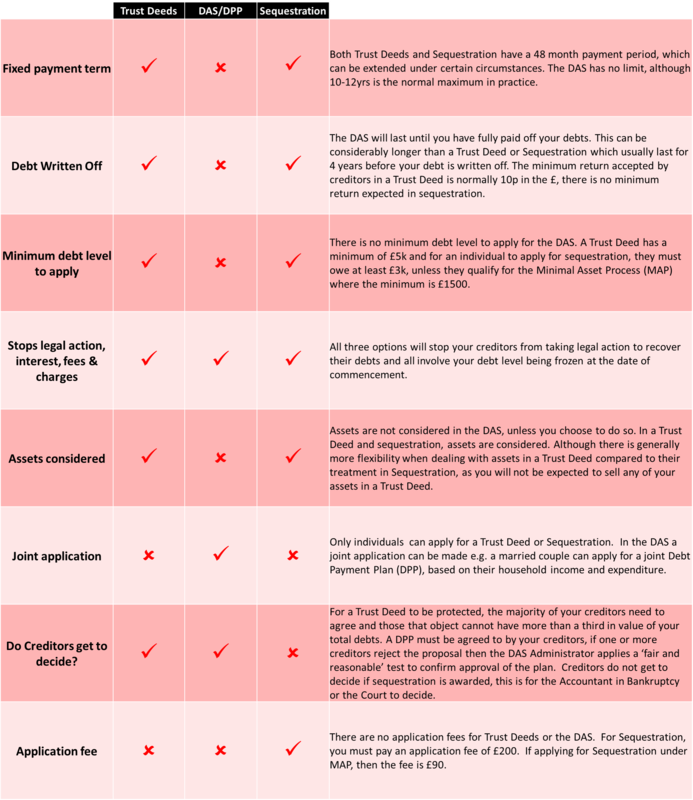 A Protected Trust Deed is a legally binding solution for people who are struggling with unsecured debt. This type of personal debt solution is only available to people living in Scotland, so if you live in England or Wales, an Individual Voluntary Arrangement (IVA) or Debt Management Plan (DMP) might be the right solution for you. Its also used as an alternative to other forms of debt relief in Scotland, such as the Debt Arrangement Scheme (DAS) or Sequestration (Bankruptcy). An assessment of your affordability will be carried out, the payment that you will make is equal to your income minus all of your day to day living expenses e.g. rent, bills, food etc. You must be able to pay a monthly contribution from income and/or has releasable assets that will enable a minimum return to creditors of normally 10p in the £. For many, the process can often be very confusing and difficult to understand. To make life a little easier, we have put together this diagram explaining how it all works. The Trustee’s fee and costs is met from the funds received into the Trust Deed; there are no payments due by you over and above the agreed contribution from the income and/or assets. 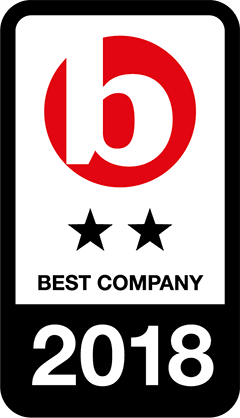 We do not charge set up fees and we would advise against using any company who does. Creditors agree the level of the Trustee’s fee at the beginning of the arrangement and monitor that level throughout. There is no cost to you if you decide against signing a Trust Deed after taking advice but deciding not to proceed. Once protected, the creditors cannot take legal action against you for recovery of any debt outstanding as at the date the arrangement was signed. You no longer have to deal with the creditors – we negotiate with the creditors for you, taking away the pressures of the constant phone calls and distressing mail. Are frozen – the creditors can only claim for the outstanding balance due to them as at the date the Trust Deed was signed. The home and other assets can be retained, subject to their value and your specific circumstances, advice must be taken prior to proceeding. You only make one affordable monthly payment, calculated after an allowance has been made for all of the general living expenses and household bills. You will normally make payments for a 4 year period; however, in certain circumstances that period could be extended – after the agreed period you will be discharged from the Trust Deed and all remaining debts will be written off. If you are in financial difficulty, a trust deed can be signed as soon as you are ready to proceed. Firstly, you must seek financial advice from an approved person. Once you have received the necessary paperwork, had the options explained to you and you’ve had time to consider the consequences and alternatives then you can proceed to sign a Trust Deed. It should be noted that once signed the Trust Deed is a legally binding document and cannot be withdrawn. A Trust Deed does not involve court proceedings. The creditors will write off anything you could not manage to repay at the end of the Trust Deed. Sometimes this figure can be significant, even the majority of the debt. You avoid bankruptcy whilst still writing off a significant amount of the debt. An earnings arrestment will be removed on protection of the Trust Deed. All of this adds up to a less stressful life in which you can take control of your finances and no longer fear a ringing phone or a knock at the door. What debts cannot be included? In a Trust Deed you can keep your home, although you may need to release some of the equity for creditors as part of the agreement. If you are a home owner, the level of equity (difference between the value of the house and any loans secured on it) is calculated and fixed at the start of the Trust Deed. The equity, if applicable, has to be realised for the benefit of the creditors but this is normally done without having to sell the home – it is extremely unusual to sell the home in a Trust Deed, unless you wish to do so. Third party payments e.g. family, friend, business associate etc. In almost all cases you will be able to keep the car, especially if it is required for work purposes. If the car is valued at less than £3,000 then it will not be considered as a realisable asset of the trust estate. If the car is brand new and/or worth a significant amount then you may be asked to trade it in for a less expensive car, releasing either income or a lump sum to the Trust Deed. If the car is subject to a Hire Purchase agreement or another type of secured finance agreement, you will be allowed the contractual repayment within the monthly expenditure (provided it is not excessive) and, in most cases, you will be able to keep the car. Always confirm the type of car finance before proceeding, original agreements must be provided. If you have savings before you start your Trust Deed, it is very likely that they will be paid to the Trust Deed. However, when calculating your affordable monthly payment, a ‘contingency’ allowance of up to £20 a month is often taken into account. There could also be an allowance for irregular expenses, such as MOTs, household repairs etc. Ultimately, however, if you are managing to save a significant sum, your trustee will increase the amount of your Trust Deed payments to enable a higher return to be paid to your creditors. Your pension fund will not be counted as an asset when the terms of your Trust Deed are being decided. However, if you are currently drawing from a pension, this will be counted as part of your monthly income. If you are currently employed, and paying into an employer pension scheme, you may have to reduce these payments to free up more income for Trust Deed payments. With a private pension, you might be asked to suspend payments altogether for the duration of your Trust Deed. Before a Trust Deed and during a Trust Deed you should not release a ‘tax free lump sum’ from your pension without discussing this with your adviser and/or IP. There are two other key debt solutions available in Scotland. Sequestration is the Scottish form of bankruptcy. It involves the sale of your assets in order to pay off your debts. Debt Arrangement Schemes, which result in Debt Payment Plans, organise your payments into an affordable monthly payment that you pay until all your debts are fully paid off. Below we have created a table which compares these three options. As with everything in life, there are disadvantages to the Trust Deed procedure. Remember; if you find that a Trust Deed won’t work for you, there are other options, such as the Debt Arrangement Scheme or Sequestration. Creditors may object to the Trust Deed proposal in sufficient number or value, causing it to fail to achieve protected status, as a result, sequestration (bankruptcy) or DAS become alternative solutions. 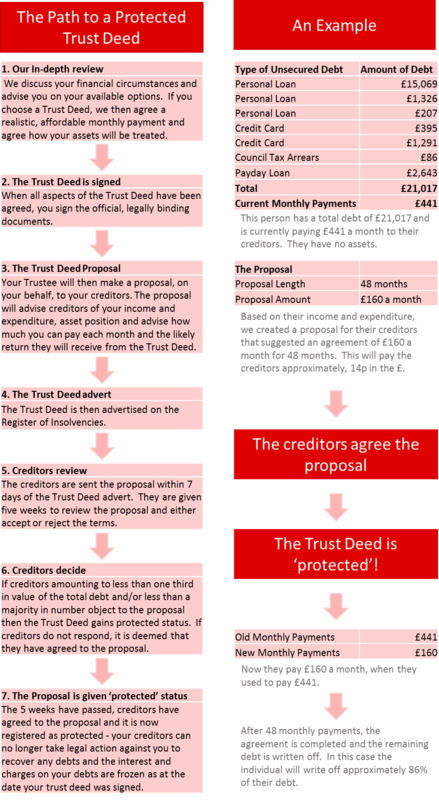 Granting a Trust Deed may result in you being refused credit, before or after the discharge is granted. You may not be able to act as a Director of a limited company unless the company’s articles of association allow it. Student loans are not discharged in a Trust Deed (or a Bankruptcy). Equity in the property and/or other assets you own may have to be realised for the benefit of the creditors. Your current employment or future employment prospects may be affected by entering into a trust deed. A trust deed normally requires a minimum return of 10p in the £ to creditors, if the circumstances will not allow this then sequestration becomes a viable alternative. A trust deed has a 4 year acquirenda term i.e. the Trustee has claim on assets acquired for a period of 4 years from the date of signing the trust deed e.g. inheritance. If you need help managing your Trust Deed with us, please don’t hesitate to call our existing customer line at 0800 0431 431. A Trust Deed could have you well on your way to becoming debt free. To talk to an advisor call 0808 2085 198.